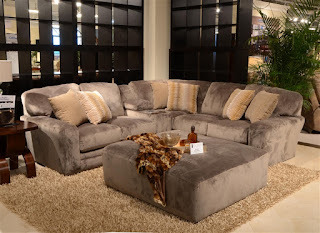 Choose from 14 available pieces and build your own sectional! The Everest Collection is available in 3 colors: chocolate, seal, and ivory. 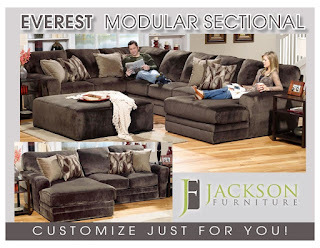 The Everest Collection by Jackson Furniture offers both beauty and comfort to help enhance the look and feel of any living room decor. The plush casual deep seating design, extra thick seat cushions and super soft luxurious suede fabric will bring comfort to your home abode. The palette of 3 available colors; chocolate, seal and ivory altogether with correlating throw pillows will complement any decor. This fully modular collection offers 14 pieces to create a small, medium or large sectional in any configuration that fits best your floor plan. You can also build reversible configurations. Create your personal design that will bring a cozy and upscale environment to your living area, where you can relax after a stressful day at work or entertain with your friends and family in style.